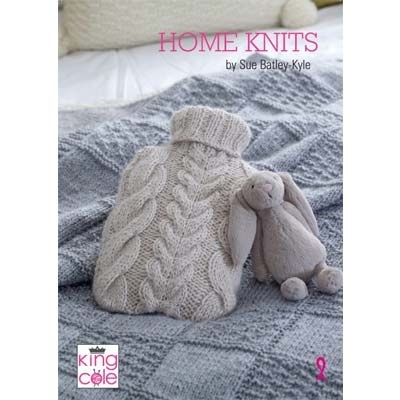 The stunning Home Knits Book 1 is the first of its kind, dedicated solely to knitted homeware patterns, Sue Batley-Kyle has created a variety of beautiful soft furnishings for your home in modern, muted tones and designs, using a mixture of DK and Chunky yarns. This is a must-have addition to your collection, or as a gift for the knitter in your life. Patterns include a bean bag chair, foot stool, hot water bottle cozy, tea cozies and many pillows and blankets.